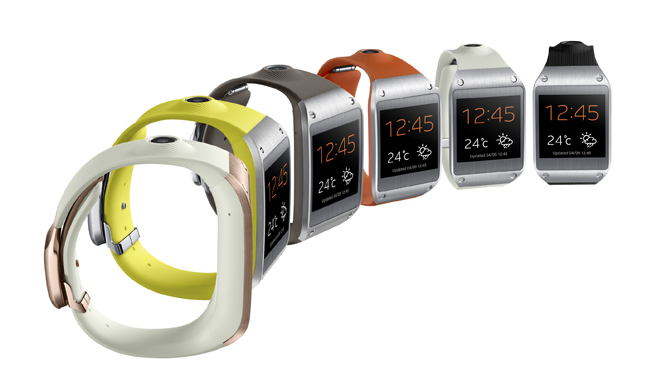 Samsung has unveiled its Galaxy Gear smartwatch at the IFA technology trade show in Berlin, alongside new versions of its Galaxy Note tablets. The smartwatch offers a number of features including letting users make and receive calls, read SMS text messages and emails, and features voice controls as well as a 1.9MP micro camera. The device links up to your Galaxy smartphone, so when a message is received you see a preview on the watch screen and then can either read the full message on your phone or choose to ignore it. It can also work as a remote, so that you can skip that annoying One Direction song that has somehow found its way into your music collection without having to fish your phone out of your pocket. Apple have long been rumoured to be bringing out a smartwatch, but Samsung is quicker to develop and release products than its US competitor, and by demonstrating the watch at IFA they are beating Apple to the punch, and looking like the company that leads and innovates – titles which Apple has held for the last decade. The smartwatch will be available from the 25th September in black, grey, orange, beige, rose gold, and lime green for $299, with UK pricing currently unavailable.